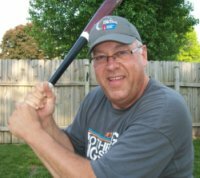 Even though I knew a lot about baseball, and hitting and pitching techniques,and coaching kids, I sure did not know much about coaching little league baseball. Dealing with parents, picking a league and/or tournaments to play in, holding fund raisers, all these things were new to my wife and I. We now have been through it all and decided to try and give a helping hand to those of you that are just beginning or are not very far along on this road called youth baseball. There are going to be bumps in the road, and the trip will seem long, but it is one of the most enjoyable things you can do with your child. So let us try and make your trip a little smoother. And if you any questions for us, please be sure and send them to us using the contact box at the bottom of this page. Here is how it all unfolded for us. My wife watched a couple of little girls after school. They lived right across the street from us. One day they brought home a handout given to them at school. It was about sign ups for a Tee Ball league. The age range was from four to six. Our son was going to turn four in a couple of weeks. Like my dad did with me, I played catch with my son in the back yard. And I underhanded pitches to him. He could catch and hit the ball pretty good, and I thought he was advanced for his age. For some strange reason I didn’t see that one coming. I’m not sure why but I thought there was probably an abundance of parents wanting to coach. Boy was I ever wrong about that. That is how our coaching life began. I did the coaching, and my wife handled everything else. Three sons, many teams and hundreds of players later, here we are. Once baseball gets into your blood, it never leaves. We also have five grand kids, three who are boys who all play baseball. So I don’t think the fun will ever end for us. And we certainly enjoy every minute of it. My name is Vic and my wife is Paula. We live in the Kansas City area, and have traveled with baseball teams all over the country. We hope you enjoy our website. Thank you for visiting our website. Please stay as long as you like and don't be a stranger.